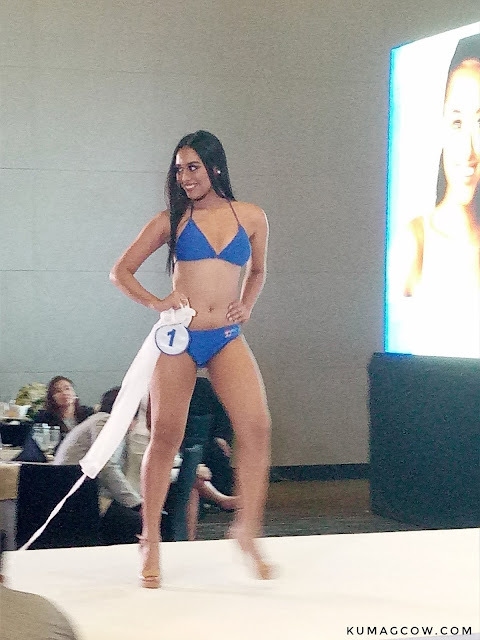 Having the opportunity to actually see the 35 women vying for the Miss World Philippines crown was just surreal. To tell you honestly, I've seen several pageants already but they definitely did not hold back in hand picking these ladies because as far as my standards are concerned, they all look absolutely gorgeous. The ones that caught my eye were favorites Wynwyn Marquez, Laura Lehman, and Cebu's Cynthia Tomalla. Though I'm telling you, none of them were really not up to standards. I applaud those who had a hand in choosing these ladies because I'm sure it probably wasn't easy. Arnold Vegafria, CEO of ALV who handles Miss Worlds Philippines says "They are more confident, driven for a more noble purpose. We can only wish them luck to make pageant history once more. There will be 35 who will vie for the Miss World Philippines crown. Beauty queens have mentored our candidates and at this point, thank you to P&G, the New World Hotel, BYS Cosmetics, and GMA7. Bench, Ben Chan and Bench Body (who is celebrating their 30th year by the way! ), Phoenix Petroleum and our other sponsors." Catriona Gray who was also there to support the candidates adds "I think it's a really strong start, I've had the chance to talk to them and they are all going to give us a fight in this competition." confirming my thoughts as I saw they were all gorgeous that afternoon. Make sure you don't miss the Miss World 2017 pageant which will be held on September 3, 2017 at the Mall of Asia Arena in Pasay City. Aside from the actual Miss World Philippines title, there will be 3 other crowns to be won that evening namely Reina Hispanoamericana Filipinas 2017, Miss Multinational 2017 and Miss Eco Philippines 2017. These pageants will be held in different parts of the world and will be a great chance to represent the Philippines, I could already see them winning it. All photos in this article is shot by Oppo F3 Black Edition, a loaned phone from the brand which I am testing on runway shows (I might have missed a couple of candidates because there were people in front that might have prevented me to take photos of them as I was only using a mobile phone). Thank you so much to ALV for having us!